Hello and welcome back to the ‘Who’s That?’ quiz! In this November edition we are back down to just the single silhouette for you to guess (the one on the far left). 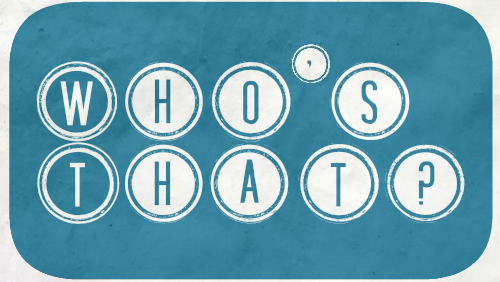 When you think you know who it is, head on over here to the ‘Who’s That?’ page and make your guess. At the end of the month I’ll announce the answer, as well as listing and linking back to those of you who manage to guess correctly. Thanks for playing, and have fun! Tags: Characters, film, Movie, People, Quiz, September, Silhouette, Who's That?